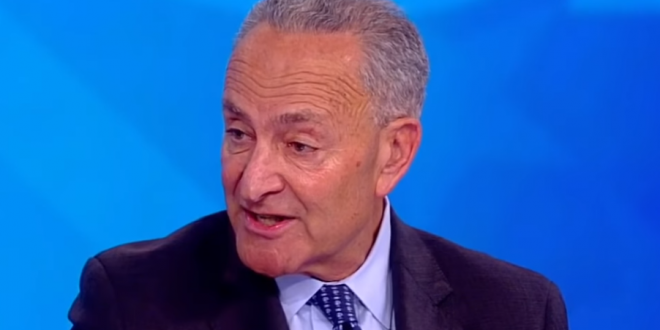 Chuck Schumer Demands DOJ Probe: Did Acting AG Matt Whitaker Share Mueller Info With White House? - Joe.My.God. Chuck Schumer Demands DOJ Probe: Did Acting AG Matt Whitaker Share Mueller Info With White House? In his letter, Schumer cited news reports of Whitaker’s close relationship with President Donald Trump during his previous role as chief of staff to former Attorney General Jeff Sessions. Congressional Democrats have been concerned that Whitaker, who has supported the president’s unbridled criticism of Mueller’s probe, may have been named as Sessions’s successor to oversee its undoing. Many have called for Whitaker to recuse himself, while some sued this week to challenge his appointment as unlawful.